It’s time for that periodic but regular feature where I curate and share my own iPad app reviews and articles. 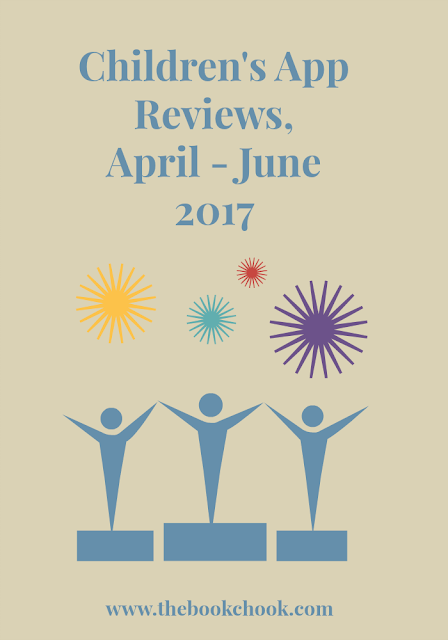 Today I’m rounding up my app reviews and articles to do with iPad written in April, May and June of 2017, again with the help of Listly. Using Listly means I can update my lists if I need to, and the post itself automatically updates too. You can embed any list on your own blog, and also vote for apps and articles you like (moderation is on.) Find the actual list below. In 2013, I did a big round-up of my 2013 iPad app reviews and articles. In 2014, I gathered my reviews from January to March 2014 into one post, April to June in one post, July to September into one post and October to December into one post. You can find January - March iPad App reviews from 2015 here, also April - June 2015, July - September 2015, and October - December 2015. Link through to 2016’s January - March, April - June, July to September and October to December if you missed them last year. Earlier in 2017, I had still more children’s app reviews in Children’s App Reviews, January - March 2017.